Decorative round leopard print serving tray. Luxury home dining accessory, perfect for serving guests drinks and treats. Eye catching leopard print design that is sure to stand out. Serve your guests in style, practical solution for carrying drinks and sweet treats. Two handles on the side make the tray easy to carry. 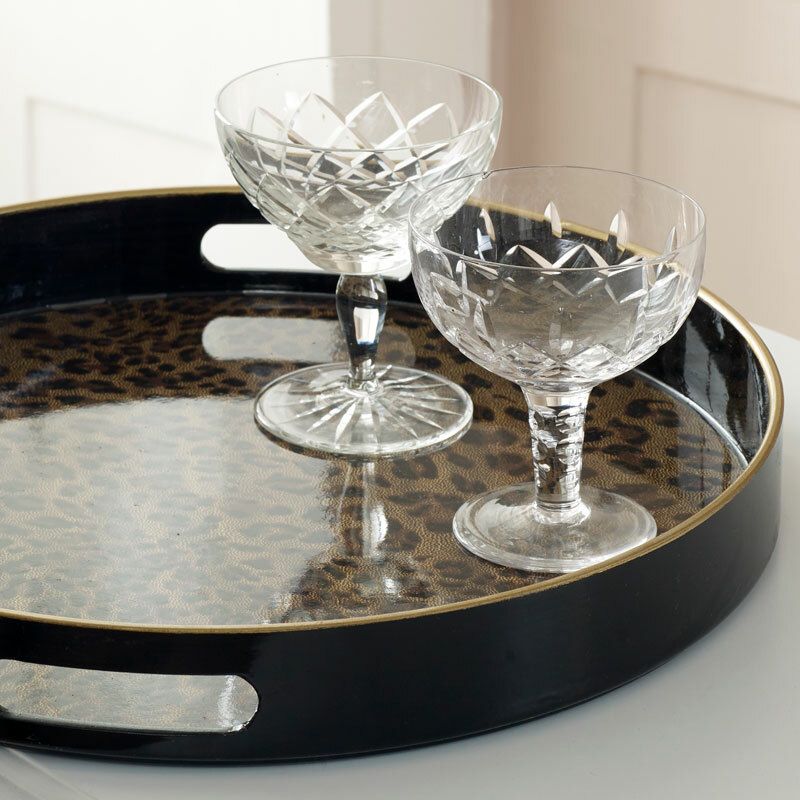 Decorative round leopard print serving tray. Luxury home dining accessory, perfect for serving guests drinks and treats. Eye catching leopard print design that is sure to stand out. Serve your guests in style, practical solution for carrying drinks and sweet treats. Two handles on the side make the tray easy to carry. Made from melamine with dark gloss brown outside egde and lepard print inner with plastic base.